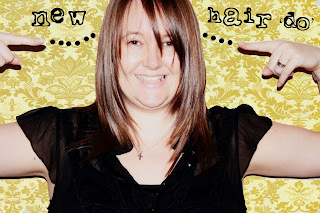 I got new hair.....well not actually new - just done (for a change) !!!!!!! This is prob the only time it will look like this until my next appointment cause I am not good at hair.........2 weeks and we will be going for colour too !! How exciting. Wow Katja love your new hair!! Can't wait to see it with the new color.